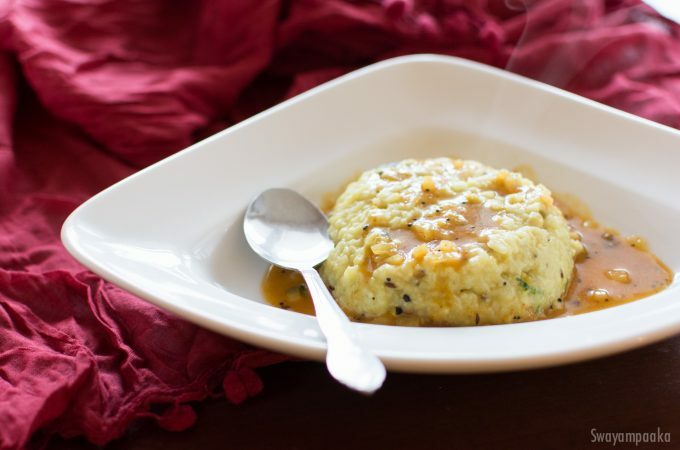 Pongal/Huggi is one of the healthiest foods from south indian kitchen. It is the Perfect blend of carbohydrates, proteins, and all important nutrients. Moong dal or split green gram dal is highly nutritious and easily digestible legume. 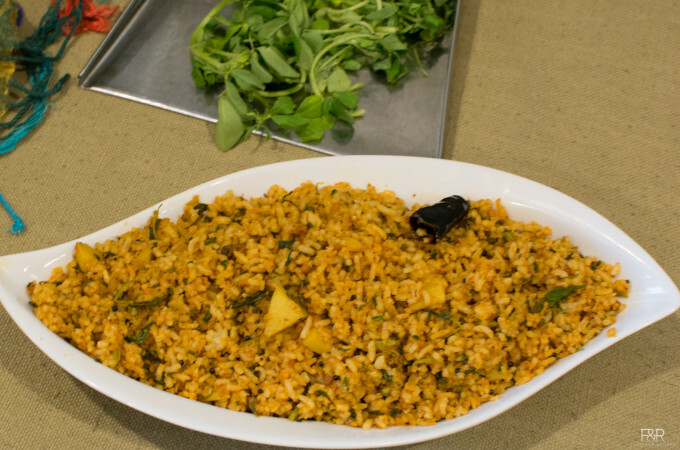 Khara pongal is a one pot healthy dish can be prepared for breakfast, lunch or for dinner. 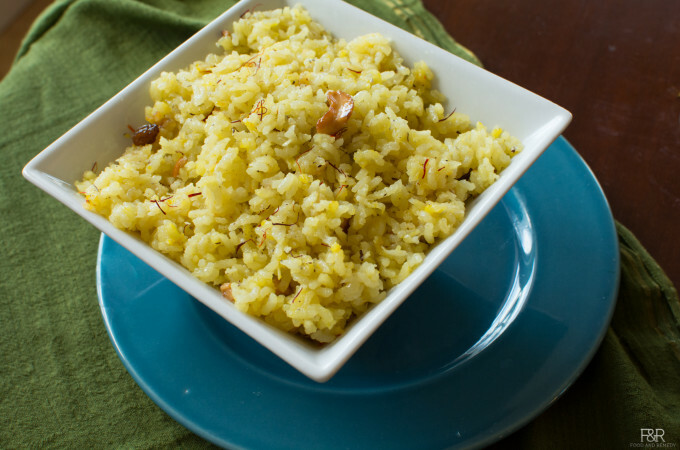 Here is the recipe of khara Pongal with Avarekalu. Adding this papdi lilva enhances the taste of the pongal. If you are not a fan of this beans you can skip. Methi Leaves(Menthya soppu) and Potato(Alugadde) are very nice combination to make this bath recipe using the Vangibath powder. 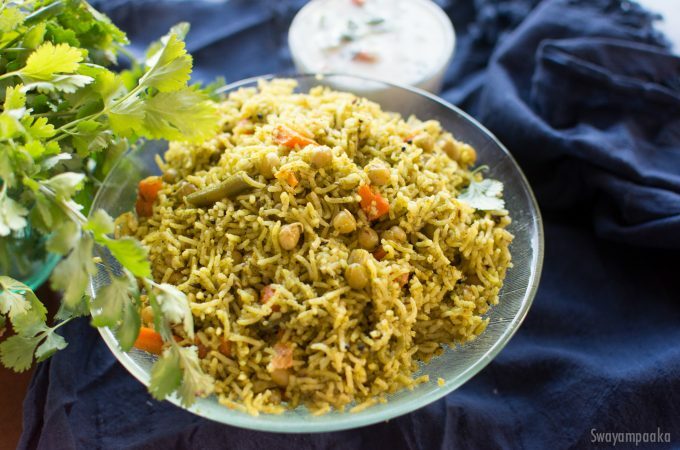 ALso this rice dish can be prepared with only menthya soppu or only Potatoes too. Either way you will love this dish. Here we are using the Vangibath Powder. Kesari Bath is a traditional sweet prepared during festival days. It has so rich aroma of Saffron, it is do appetizing and irresistible sweet :) Along with giving rich color to the dish, saffron has many medicinal benefits too. Preparation of this kesari bhath is quick and easy.